Is this the world's most crowded swimming pool ? There was barely enough room to tread water as thousands of swimmers crowded into a pool in an attempt to escape China's scorching heatwave. But the fact there was no elbow room was not going to stop the fun in the world's most populous nation. 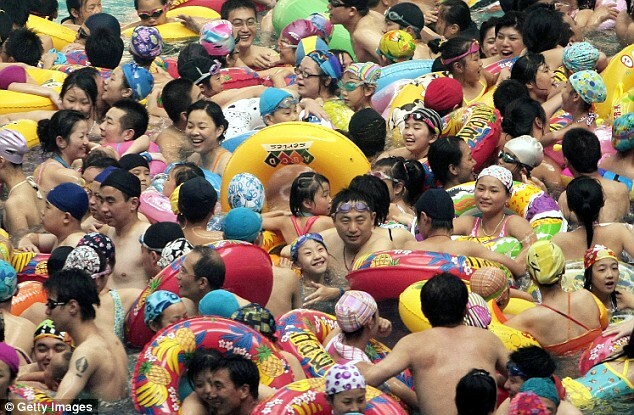 Families desperate to escape the heat grabbed their rubber rings to jostle for space at a local pool in Nanjing, the capital of the Jiangsu Province.